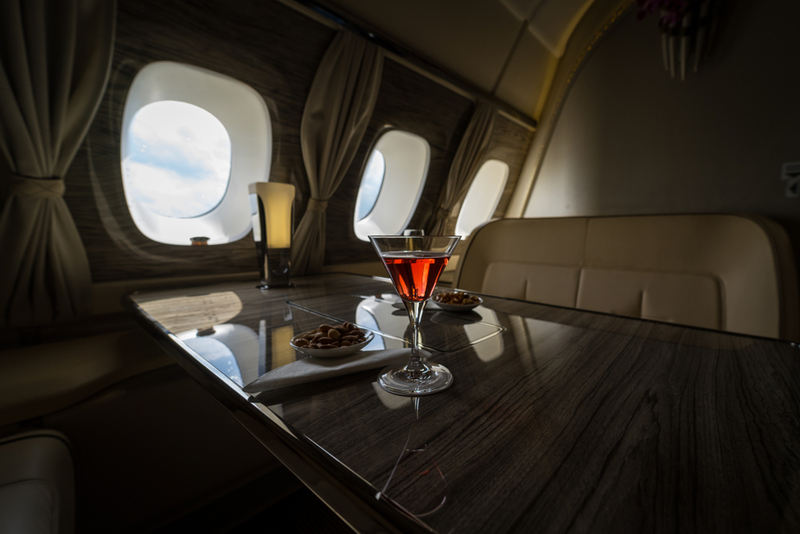 Travelers who frequently imbibe during flights know that drinks in the sky are exponentially better than the ones you’ll have at sea level. If you’d love to have a drink, but can’t stomach straight alcohol, there are a variety of ways that you can spice up the single-serve alcohol bottles you’ll get on-board. If you’re looking to kick your next flight up a notch, check out these ultra-tasty recipes for the best cocktails you’ve ever had at cruising altitude and you may never fly sober again! If you’re headed somewhere exotic, there’s no better prelude to your trip than having a nice glass of Sangria. This simple cocktail mixes red wine with orange juice and cranberry juice over ice. Ask the flight attendant for fresh fruit to take your drink to a whole new level! This classic drink is just about impossible to ruin, so it’s a good cocktail to try if it’s your first time making one. You simply mix whiskey, a little lemon juice and a touch of sugar. Mix and enjoy! Irish coffee is a great way to boost your mental clarity if you have a long flight ahead of you and need to accomplish some work. Fill a cup three-quarters of the way full of coffee and pour in an ounce of whiskey, some creamers and sugar to ride your caffeine jolt all the way to the gate! If you aren’t a coffee drinker, but would like a hot cocktail (perhaps to ease a sore throat,) a hot toddy should be a good fit. Steep a cup of black tea for a bit and then pour in whiskey to suit your particular taste. Add a packet of honey or sugar and voila: the perfect cold-weather cocktail! Although you’ll need to make a simplified version of a traditional bar’s take on the moscow mule, it doesn’t lessen the fabulous taste of this refreshing cocktail. In a glass with ice, you’ll mix vodka and regular club soda with a splash of ginger ale and lime juice. You’ll get extra points for scoring a wedge of lime. Daiquiris are the perfect drink if you are escaping to somewhere tropical and want to elicit that feeling before you even land. Add white rum to a glass filled with ice. In a separate cup, mix together lime juice, cranberry juice or orange juice with a cube of sugar and stir until dissolved. Pour some of your juice mixture into the glass with rum and enjoy! If you have a long flight, experiment with different flavors using various juices to find your favorite. When in doubt, bring your own! There are a variety of cocktail kits on the market that make it a breeze to whip up a great tasting cocktail no matter where you are. All you need is the alcohol. This carry-on kit is the most travel-friendly and offers a cocktail flavor for every kind of taste bud. If you read our blog we would love to hear from you! Take our quick survey here!